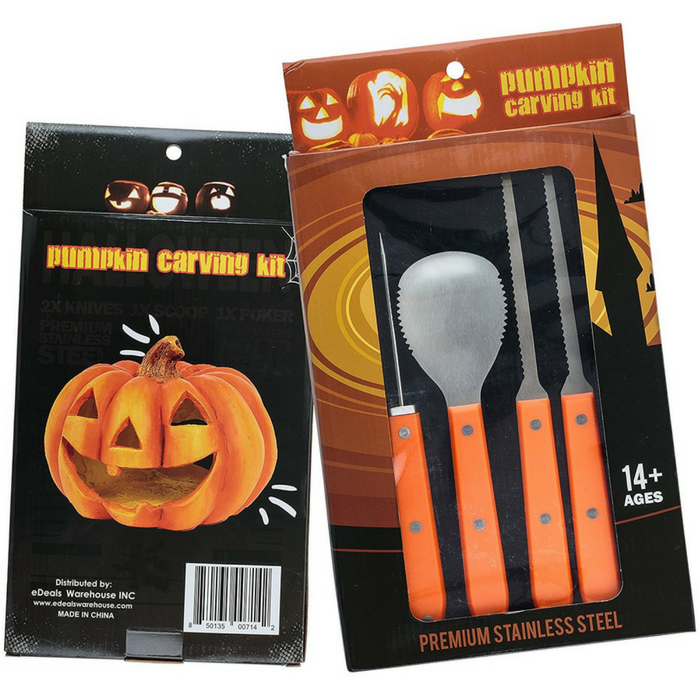 Pumpkin Carving Kit Just $18.95! Down From $30! You are here: Home / Great Deals / Amazon Deals / Pumpkin Carving Kit Just $18.95! Down From $30! Just right for Halloween! Head over to Amazon to score this Pumpkin Carving Kit for just $18.95 down from $$29.95 PLUS FREE shipping with Amazon Prime or for orders over $25! Are you ready to create beautiful pumpkins this Halloween? Impress friends, relatives, and loved-ones with a pumpkin that is well designed and cleanly done! Enjoy Halloween knowing that you have the best-looking pumpkin at your home. Contains SHARP items. This is not a toy. Use with adult supervision only.